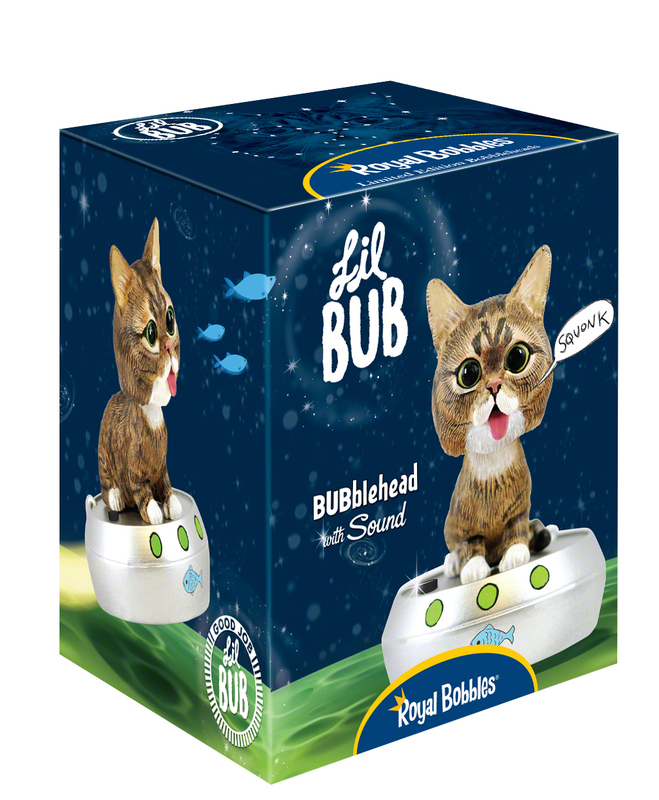 Lil BUB is the most amazing cat on the planet. Discovered as the runt of a healthy feral litter in a tool shed in rural Indiana, she was taken in as a rescue when it was clear that she would require special care. Since then, BUB has overcome great challenges, is a published author, a talk show host, a movie star, and has helped raise well over $300,000 for animals in need. 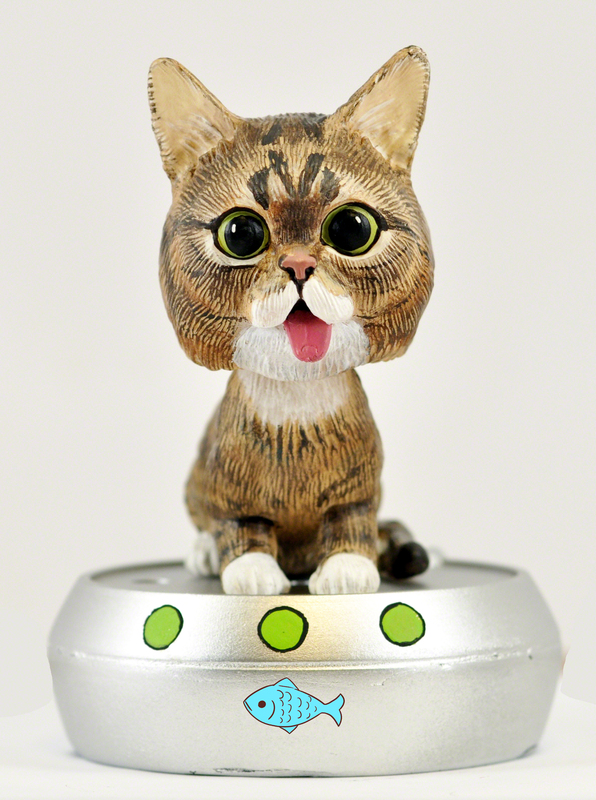 This talking Lil BUB bobblehead shows her sitting on her spaceship, and features her very own voice!